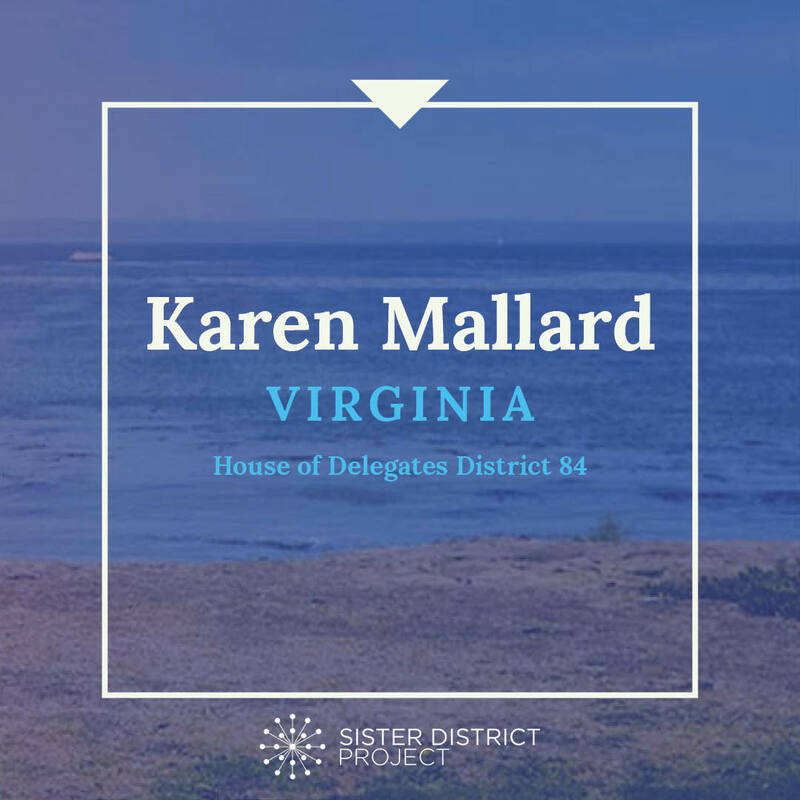 Karen Mallard was a Democratic candidate for Virginia’s 2nd Congressional District in the U.S. House. Mallard lost the primary on June 12, 2018. Elaine Luria went on to win the General Election against R Scott Taylor. This year, she is running for the House of Delegates District 84. When she was only eleven years old, Karen and her father successfully advocated for the removal of a sewage treatment plant that dumped waste into the Guest River, where Karen and her neighbors were baptized. When the coal company in her parents’ home in Wise County, Virginia cut their miners’ health benefits, Karen passed out bologna sandwiches to strikers and joined them on the picket line. For the past 30 years, Karen Mallard has used this compassion and fighting spirit to serve the Virginia Beach community as a public-school teacher, union representative, political organizer, PTA board member, and little league basketball coach. Through her work as an elementary school reading specialist and Vice President of the Virginia Beach Education Association, Karen has helped thousands of Virginia Beach kids learn to read while advocating for their right to a first-class education. Her favorite pupil, however, is her father, whom she taught to read after she graduated from the University of Virginia. 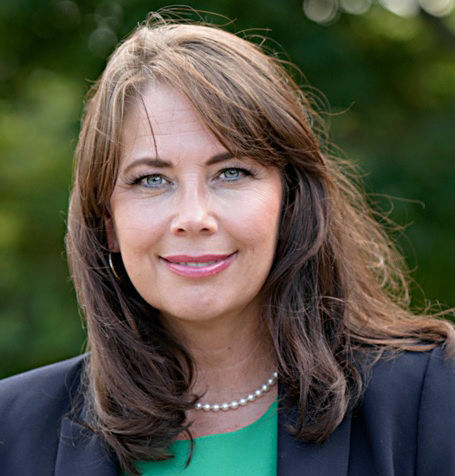 Karen Mallard was a Democratic candidate for Virginia’s 2nd Congressional District in 2018. Mallard eventually lost the primary to Elaine Luria. Karen ran a spirited campaign on a gun safety and school safety platform and sawed through an AR-15 on camera to make a point about gun safety. She said in an interview with News 3 WTKR about the incident, “I knew exactly what I was doing. The gun was inoperable before I cut it. And we took it completely apart. And we didn’t put all that on video because I wanted to get the message to the students that I was standing with them,” said Mallard. This led to Republican rabble rousers trying to bring an ATF complaint against her. Her recent Congressional run has given Karen the training and local campaign volunteer network she needs to successfully run for Delegate. Read more on Karen&apos;s website. Karen believes that health care is a right not a privilege. Working hand-in-hand with the federal government, the VA, local hospitals and health care providers, she believes that we can carve out a fairer, more equitable system that better serves the needs of all Virginians. In Virginia, Medicaid Expansion, long overdue, passed by the slimmest of margins in the General Assembly and it’s future remains in peril. Karen Mallard has always stood unequivocally in favor of Medicaid expansion and can be trusted to protect it in the House of Delegates. Karen knows that a quality education can mean the difference between poverty and prosperity. As an elementary school teacher and former Vice President of the Virginia Beach Education Association, Karen has taught generations of Virginia Beach students to read while advocating for their right to an excellent education. ​As your Delegate, Karen will work to expand full-day public kindergarten, giving every child in Virginia Beach the head start they both need and deserve. She is also dedicated to expanding vocational programs so that our students are qualified and well-equipped for lucrative jobs in the trades right out of high school. Karen believes in more funding for schools, with a special emphasis on at-risk students and special education. Growing up in Coal Country in Wise County, Virginia, Karen saw the impact of environmental devastation on the health and income of her family and neighbors. When she was only eleven years old, Karen and her father led a successful petition gathering process to move a sewage treatment plant that dumped waste into the Guest River, where she and her community members were baptized. In the House of Delegates, Karen will fight to protect Virginia Beach residents whose homes are threatened by flooding, the inevitable result of climate change and rising sea levels. She will stand against any and all offshore drilling on our coastline and will work tirelessly to attract high-paying green jobs to our community. 2019 is a thrilling year for Democrats in the Commonwealth—just one seat down in both the state Senate and the House of Delegates, the party is poised to take control of the General Assembly and turn Virginia into a trifecta for the Democrats. New, court-mandated district maps more fairly represent Democratic voters in Virginia, which means some Republican-held districts are now in play. And, these are all “Last Chance” races; the legislators elected in 2019 will be serving during the 2021 redistricting process. In 2017, Virginia was one of the first states to hold a general election during the Trump presidency, and the historic “blue wave” of Democrats who won office was widely considered a bellwether of the Trump “resistance” movement. Sister District supported 14 races in Virginia in 2017, and we are thrilled to return to the Commonwealth in 2019 and finish the job. We must protect a woman’s right to choose the health care and reproductive services she wants and needs. We need to protect and expand our social safety net, not dismantle it. We should pursue common-sense gun safety policies, consistent with the Second Amendment and local community standards and needs, which vary from community to community. Climate change is real and we need to protect our environment. We need to protect all members of our diverse community, and ensure that everyone, including the most vulnerable, is treated with fairness, justice, and equality. We need to ensure that districts are drawn fairly and protect the right to vote, so that everyone can have a voice in politics.